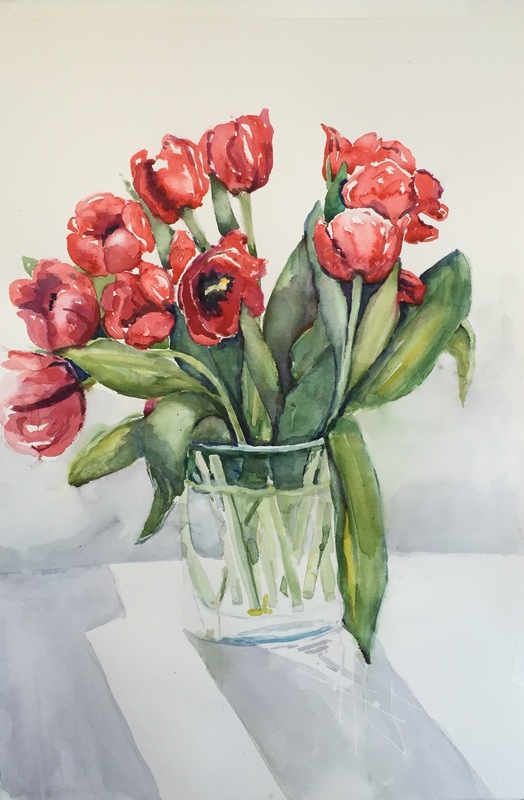 You are currently browsing the tag archive for the ‘tulips in watercolor’ tag. It’s a New Year…now what? Now, I’m not one to complain but…oh wait, I AM one to complain. So let me begin. It’s a new year and after we’ve finished wishing each other a happy, healthy and prosperous new year it’s now the middle of January and really, what’s changed? I work. It’s cold. It’s dark. I haven’t lost the 8 lbs I gained over the holidays. I’m tired. Everyone one the subway seems to be sick and breathing on me. But, looking on the bright side, the days are actually getting longer. Yay! I’ve been working on a few paintings and finishing up other ones. Since it’s been so cold, nothing says Spring to me but cherry blossom trees. So I decided to paint some. 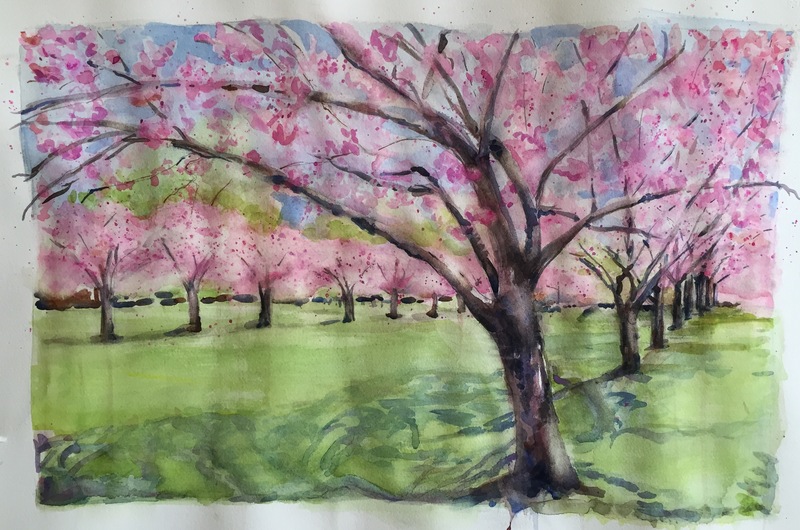 This is of the Cherry Esplanade in the Brooklyn Botanic Garden. I also decided to do a painting from a Charles Reid book for practice. 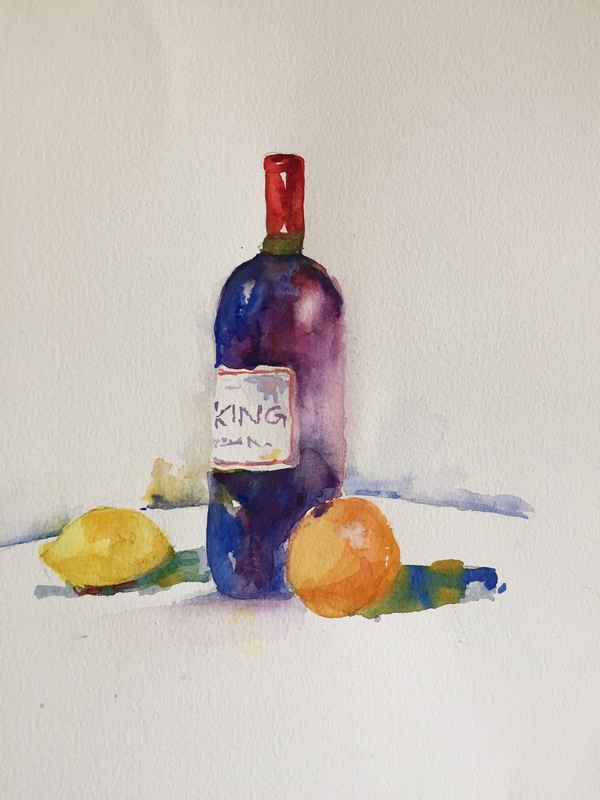 It’s a wine bottle with an orange and lemon. Charles Reid is always fun to study from. For fun I changed the writing on the label. 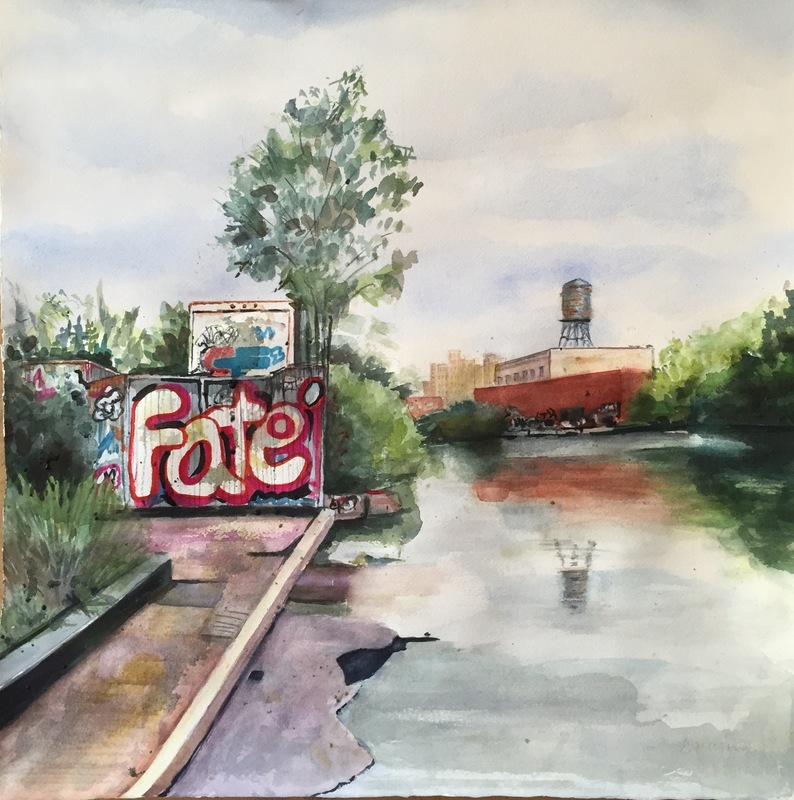 I finished FATE on the Gowanus Canal and the Red Tulips. Hope you are all hanging in there! Stay warm. Stay healthy. Spring will be here soon.